DAMASCUS, MD. – No sooner had VW announced an electrification initiative that is “second to none” promising more than 30 electric new vehicles by 2025 than an e-Golf appeared in the road test driveway. 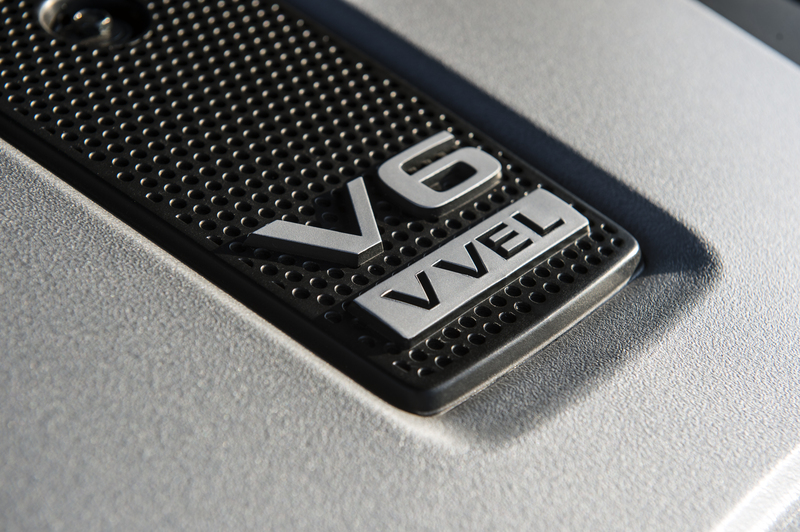 Volks expects “pure electric” automobiles will eventually account for about 25 percent of its total sales volume. Diesels, well, that’s another matter. 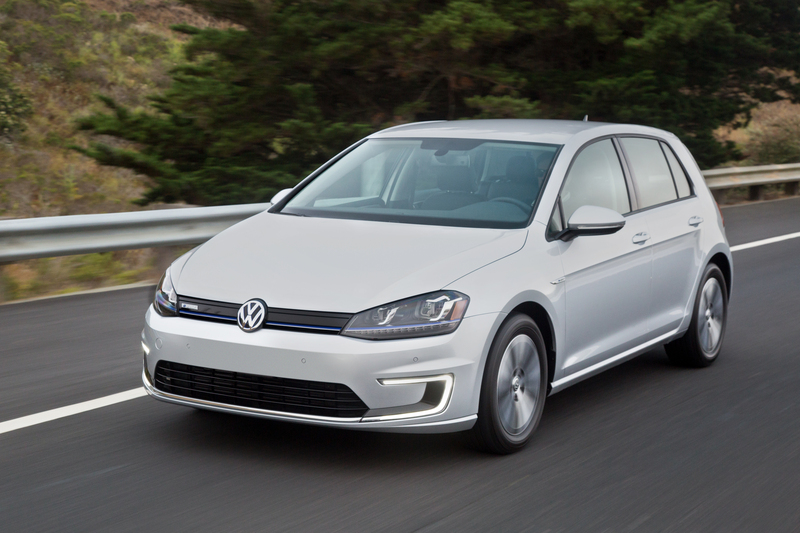 For 2016 VW introduced a lower priced e-Golf, the SE. No navi, parking sensors or auto dimming rear mirror. The center dash info screen is 6.5 inches compared to the 8 touchscreen on the upscale SEL model. But it does offer a new infotainment system that gets along nicely with Apple CarPlay, Android Auto and VW MirrorLink smartphone connectivity. At the Consumer Electronics Show, VW displayed an e-Golf with a 9.2 inch screen. The test car was a top-of-line SEL Premium. VW advertises a range of 83 miles while the Kia Soul electric goes 93 miles and the Nissan Leaf 84 miles. The test car came in an attractive Pacific Blue, an appropriate color since the e-Golf is, for now, sold only in in select cities on the two coasts and Washington, D.C.
Standard was a 7.2-kw charger that take about four hours to achieve full battery charge using a 240 volt Level 2 charging source. You will want to use one since recharging using standard household current can take 20 hours if the battery is just about out of juice. It is also worth a mention that charging stations are starting to sprout up in many locations in the greater Washington, D.C. area. With a Level 3 DC fast charge, the battery will reach an 80 percent charge in about a half hour. Punch up the Eco or Eco+ modes and you can go further at the sacrifice of some acceleration. One nice touch worth talking about. Designers put the batteries under the floor, so they do not eat up luggage and cargo capacity. 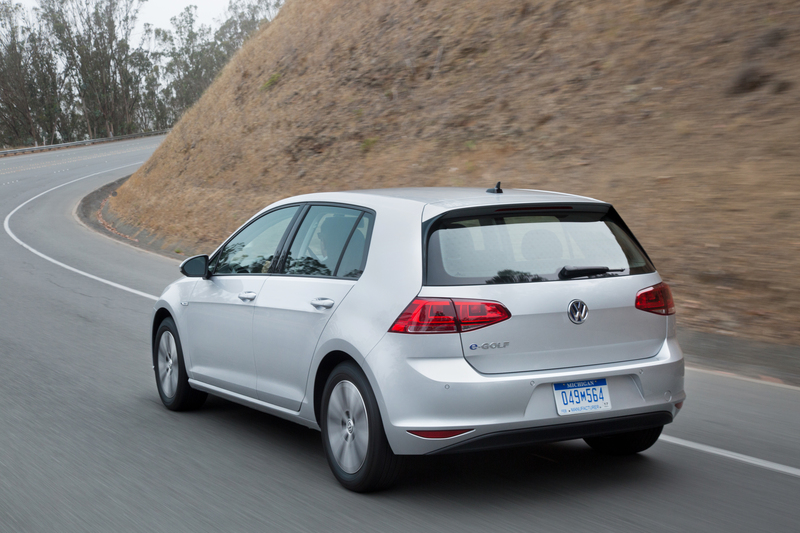 In fact, it is identical to the non-electric Golf, or a robust 52.7 cubic feet with the back seats folded. Drive wise, VW has certainly achieved its goal of coming out with an electric Golf that drives like any other Golf, and that is a good thing. Except, of course when you start up and only a light tells you you’re good to go and not the engine. For there is no engine, of course. There is enough power here to keep up with traffic, handling is excellent, and virtually everything inside is the same with the exception of the gauge where the tach is normally housed. Instead, this one tells the driver how much power he or she is using and the how effective the regenerative braking is. A 115-hp electric motor and 199 lb-ft of torque makes your trip to work a gas station free event, except for a stop for the morning fog lifter. But with predictions that low gas prices will be around a while, plus the ever present “range anxiety,” sales of all electric cars have yet to take off. The Electric Drive Transportation Institute puts sales at about 3 percent of all cars so far this year. Even seasoned “car guys” that I have talked to say they keep a close eye on how many miles can be driven before the juice is juiced as it were. Surveys show that many electric car owners also own something else for longer weekend trips. Yet I still believe that as driving range continues to increase with new technology and better batteries, we will see more and more electric cars on the road. For instance, the upcoming Chevrolet Bolt is said by its maker to offer a 200 mile driving range. There is a great deal of interest in electric cars. An older gent who drives a big Ram pickup, asked, “What was that little car you had the other day?” Told it was an all-electric hatch, he wanted to know all about it. Price wise, frugal shoppers might want to check out the SE model that starts at $29,815. The SEL Premium carries a base of $35,595. Add in $820 for transportation and you are looking at what, for some, might be a hefty $36,415. That is without any tax credits it should be pointed out. The SEL Premium will get you the bigger infotainment screen, LED headlamps, navi, among other upgrades from the SE. If you have a relatively short commute and your company has a charger of two, the electric Golf makes for a dandy commuter car that will only get better over time. Auto News for July 29 – Mercedes Pulls Ad – Elvis in a BMW? 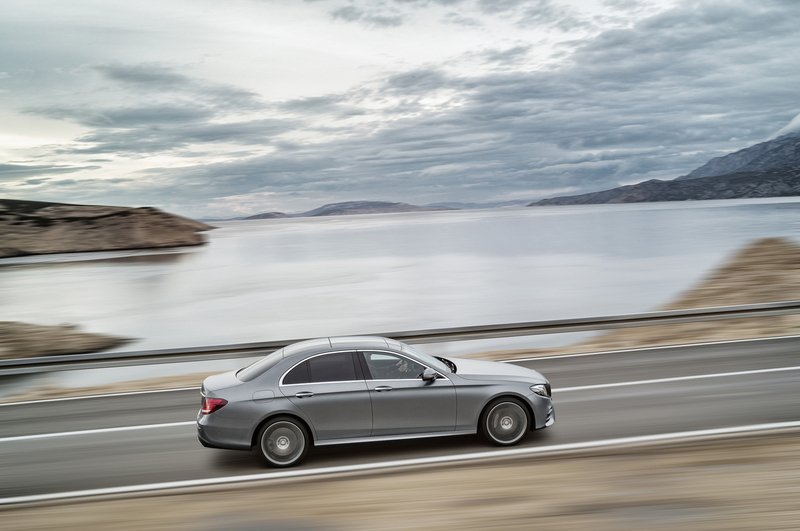 Consumer Reports has asked the Federal Trade Commission to take a look at a Mercedes ad talking about the automated driving features of its new E Class sedan. CR and other consumer groups maintained the ad was misleading in its depiction of driver-assist systems, something Mercedes has denied. But Automotive News quotes a company spokesman as saying the ad has now been pulled from circulation. After its quarterly earnings were announced, Ford shares closed down 8 percent yesterday after it indicated it expects a slowdown in sales. And that heated the debate over whether the bubble that produced month after month of record sales for most automakers has burst. Morgan Stanley’s Adam Jones told CNBC’s “Power Lunch” he thinks we are in the 11th inning of a 14 inning ballgame with auto makers having to beef up incentives to get customers into their showrooms. Auto Trader believes July sales will be down 2 percent. We will know more next week when the industry reports on July sales. But someone is doing well. AutoNation, the country’s largest auto retailer, has reported record second quarter net income. The first known national ad promoting a car appeared at the end of July 1898 in the Scientific American magazine. It was for the now forgotten Winton Motor Carriage with the headline “dispense with a horse.” Americans did just that, and by 1906, 57 car companies spent over a half-million dollars advertising in 12 national magazines. Today, joining auto manufacturers in advertising the latest models are many of the country’s more than 21,000 new car dealers, according to the Census Bureau. It was March of 1958 when Elvis Presley first fell in love. The object of his affection, to the dismay of many young ladies, was a 1957 BMW 507 roadster. Now in the care of BMW Group Classic, the car has received a complete restoration over the course of the past two years. The restored BMW 507 “Elvis Presley” roadster is making its public debut at the 2016 Pebble Beach Concours d’Elegance in California on Sunday, on August 21. 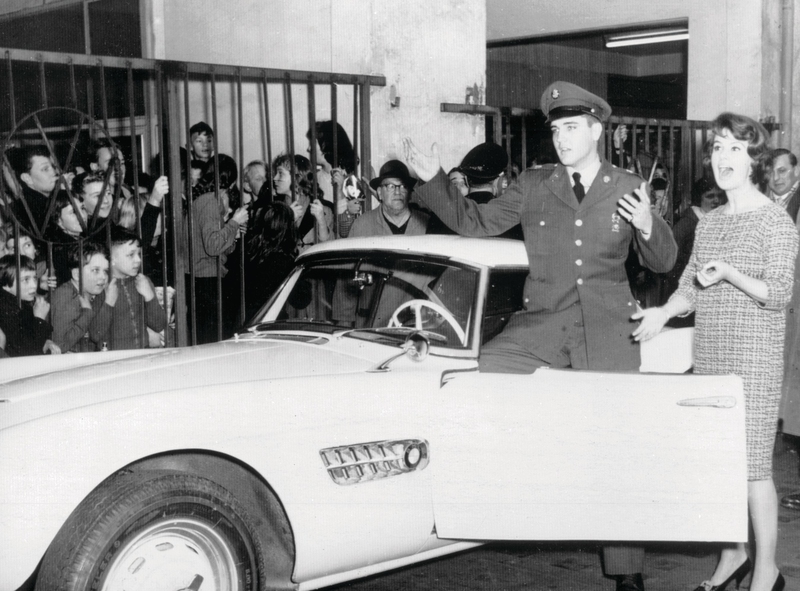 Presley acquired the car shortly after his Army service. Weaker than expected sales in the U.S. and China means Ford will disappoint some on Wall St. with its second quarter earnings. The automaker announced this morning that second quarter profit came in weaker than expected and earnings per share came in at 49 cents when the markets were expecting 60 cents per share. Net income was off 9 percent. “We remain committed to delivering another full year of strong profitability, even as we addressed some new risks and market challenges around the world,” said Mark Field, President and CEO. 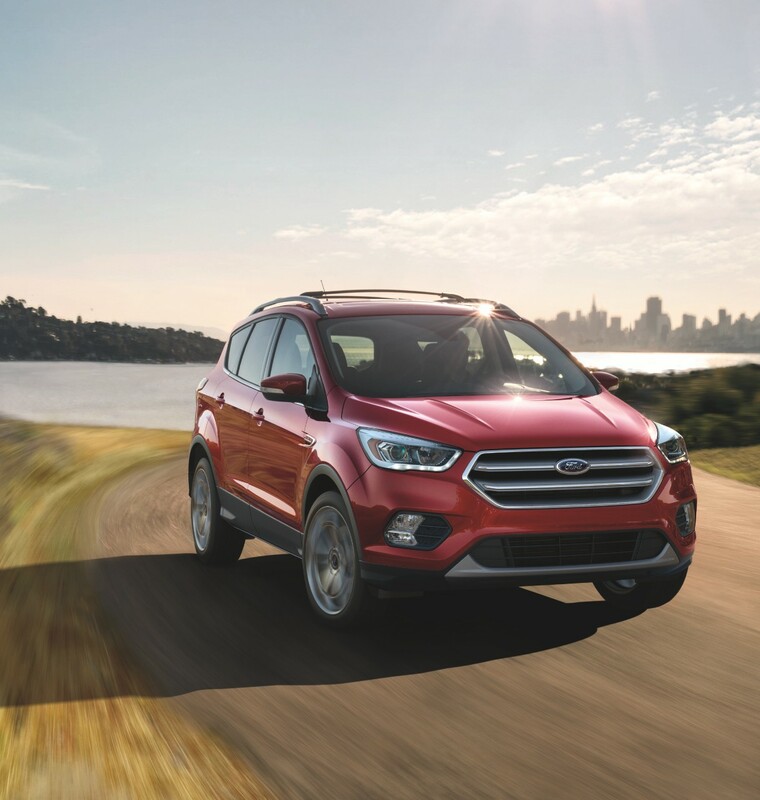 Ford officials indicated the strong sales of the past are starting to slow. Automakers are expected to increase incentive spending in the months ahead as sales slow and that may affect the old bottom line. 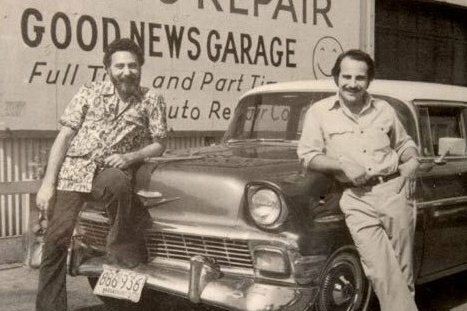 NPR’s popular “Car Talk” is coming to an end – sort of. NPR announced that it will stop offering reruns of the show after September 30, 2017. The decision came, NPR said, after consultation with key station personnel, programmers, researchers, listeners and the show’s own staff. “We are in a moment of transition for weekend programming across the public radio system. This coming year, one of the top priorities of the programming team at NPR will be to focus on creating new weekend programming to extend value of “Only A Game”, “Weekend Edition”, “Wait Wait…Don’t Tell Me!”, and “Ask Me Another” – all foundational to a strong weekend schedule,” said Anya Grundamann, Vice President of Programming at NPR. Listeners will be able to hear weekly podcasts of the show after September 30, 2017, and individual stations will have the option of continued broadcast of the show that had its start some 30 years ago. New episodes ended back in 2012 with the retirement of hosts Tom and Ray Magliozzi. Tom Magliozzi died of complications from Alzheimer’s disease in 2014. Consumers who buy Porsches are the most satisfied new car owners, according to the annual J. D. Power APEAL survey. Porsche ranks highest overall in APEAL for a 12th consecutive year, with a score of 877 index points. BMW ranks second with 859, Jaguar and Mercedes-Benz rank third in a tie at 852, and Land Rover, Lexus and Lincoln rank fifth in a tie at 843. Volkswagen (809) ranks highest among non-premium brands, followed by MINI (808), Kia (807), Ford (803), Ram (803) and GMC (802). General Motors received six segment-level awards, followed by Hyundai Motor Company with five and BMW AG and Volkswagen AG with four each. Nissan Motor Co., Ltd., and Toyota Motor Corporation each have two models that rank highest in their respective segments. Factory installed navigation systems remain a challenge for vehicle owners, Power said. Engine/transmission is the only category to decline (-1 point) this year, linked to transmission smoothness when shifting, as penetration of 8- and 9-speed automatic transmissions increases. Vehicles equipped with blind spot monitoring and low speed collision avoidance had overall higher scores than those without those features. Fiat Chrysler reported its second quarter operating profit, before interest and taxes rose 14 per cent and earnings per share topped Wall Street expectations. Bloomberg reported that earnings were hurt by the recall of vehicles with the defective Takata airbags. 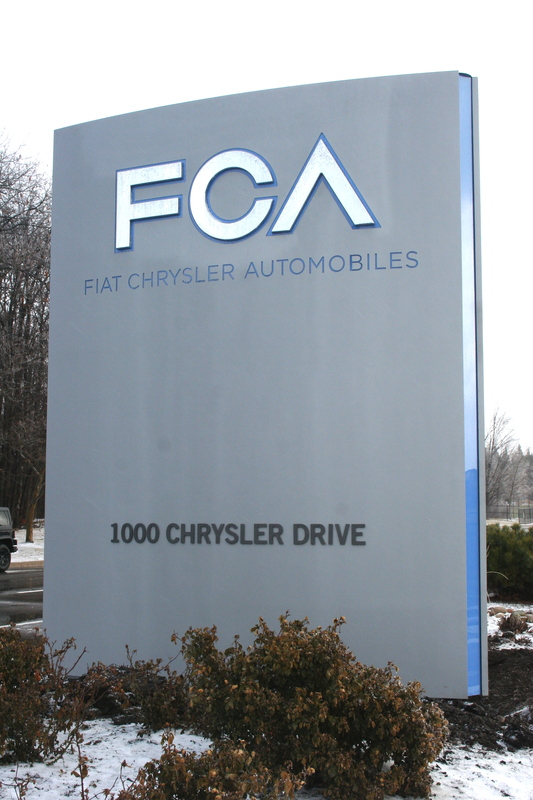 It also said FCA’s full year forecast indicated it expects a slowdown in the final six months of 2016 due to slow demand for its small and mid-sized sedans. Jeep demand is expected to remain strong, along with the company’s Ram pickups. It is taking steps to increase Jeep production, and will invest nearly $1.5 billion in its Sterling Heights, Michigan plant to build the next generation of Ram pickups. Volkswagen has won preliminary approval from a federal judge in California for its proposed settlement with regulators and owners of vehicles with the 2.0-liter diesel engine. Final approval may come in mid-October. The settlement covers 475,000 owners who would be able to choose whether to have their cars fixed so they would meet pollution standards or agree to a buyback. USA Today noted that VW has yet to win approval from the EPA and the California Air Resources Board for its plan to fix the vehicles. Porsche announced it will skip the 2017 Detroit auto show to concentrate on what it considers more important markets for its products – the shows in Los Angeles and New York. Eighty two percent of those surveyed by KPMG said they would be wary or never buy from an automaker if their car had been hacked. This as automakers continue to make heavy investments in autonomous and connected car technology. “Unlike most consumer products, a vehicle breach can be life-threatening, especially if the vehicle is driving at highway speeds and a hacker gains control of the car. That is a very scary, but possible scenario, and it’s easy to see why consumers are so sensitive about cyber security as it relates to their cars,” said Gary Silberg, KPMG’s Automotive Sector Leader. He said auto companies need to take action to make cyber security a strategic imperative to ensure they are doing everything possible to protect the drivers of their vehicles. It is one thing for an automaker to announce a recall, but it is something else to get owners to bring their vehicles in for repair. J.D. Power said about 40 percent of vehicles recalled in 2013 through 2015 have not been brought back to dealers for repairs. And that is a lot of vehicles, some 45 million, Power said. Owners of newer vehicles are more likely to have recall work done compared to those with older cars and trucks. The groups with the highest recall completion rates are powertrain (71%), electrical (62%) and hydraulic brakes (66%). Airbags and suspension issues have the lowest completion rates at 47% and 48% respectively. The Kia Soul and the Mazda3 are among best cars for teenage drivers, according to a study from U.S. News & World Report. It said the vehicles have advanced safety features, new technologies for novice drivers, top crash test scores and excellent long-term value. Also making the list were the Chevrolet Sonic, Hyundai Sonata, Ford Fusion Hybrid and the Nissan Murano. 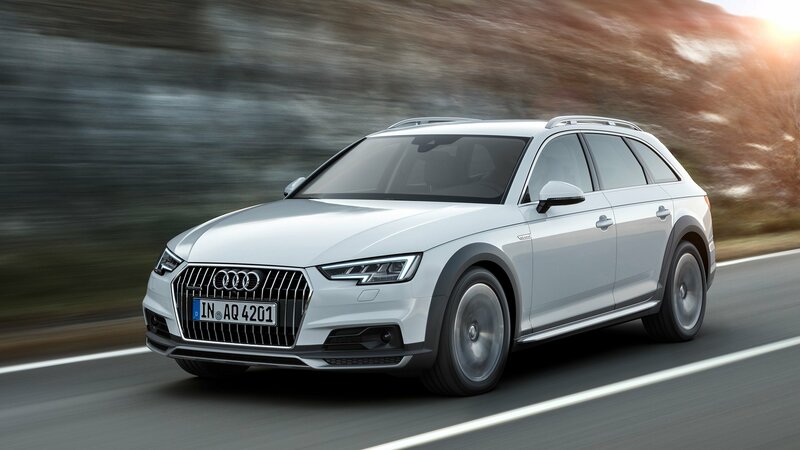 Audi will introduce a new A4 allroad this fall with more power and features. The 2.0-liter turbo four remains the one and only engine offered but it picks up 32 horsepower for a total of 252 @ 5,000–6,000 rpm with 273 lb-ft of torque at 1,600-4,500 rpm. It will be married to a seven speed S tronic dual clutch automatic with paddle shifts. There is also a new Quattro all-wheel drive system that varies torque distribution front to rear and 1.3 inches of increased ground clearance over the A4 sedan. Drivers will be able to select five operating modes, comfort, auto, dynamic, individual, and offroad. Audi cited a 0-60 run of 5.9 seconds. Inside there is a 12.3 inch display, full color head up display, and an available 19 speaker, 755 watt Bang & Olufsen sound system that creates a “life-like” musical experience, Audi said. The one and only Audi wagon to be offered here will start at $44,000 on up to $52,400 for the top of the line Prestige model. Porsche announced it will hire more than 1,400 workers in and around its Stuttgart, Germany facility to produce its first all-electric sports car. Seen as a direct challenge to Tesla, the sports car may debut in 2019. Just five more months of shopping days until Christmas folks! 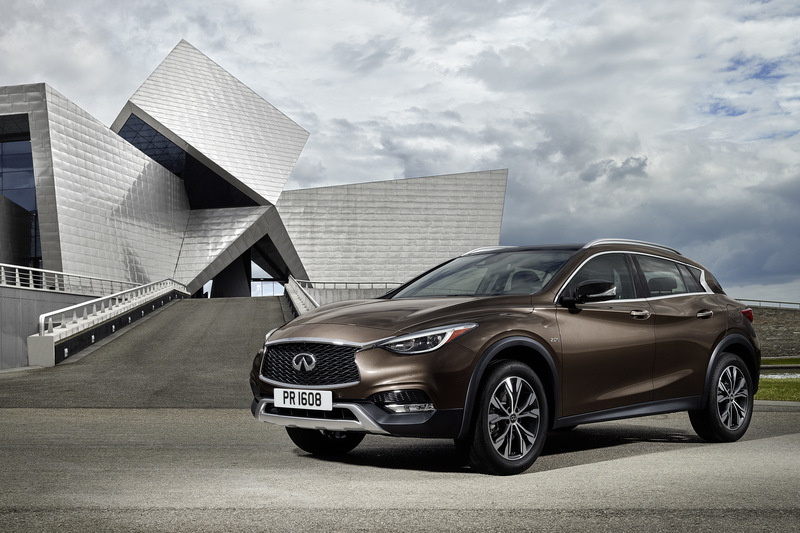 As a follow up to the Saturday road test allow me to introduce the Infiniti QX30. It is said to bridge the gap between “premium compact rivals and larger crossover models” and will be available in six trim levels. A 2.0 liter turbo four will be the standard engine with 208 horsepower and 258 lb-ft of torque. It was designed by Mercedes parent, Daimler, and is produced in Germany while the crossover will be produced in Sunderland, U.K. The 2.0 will be linked to a 7-speed dual clutch automatic. There was no mention of another power plant. It is 13 inches shorter than the QX50 or exactly the same length as the Volks Tiguan. 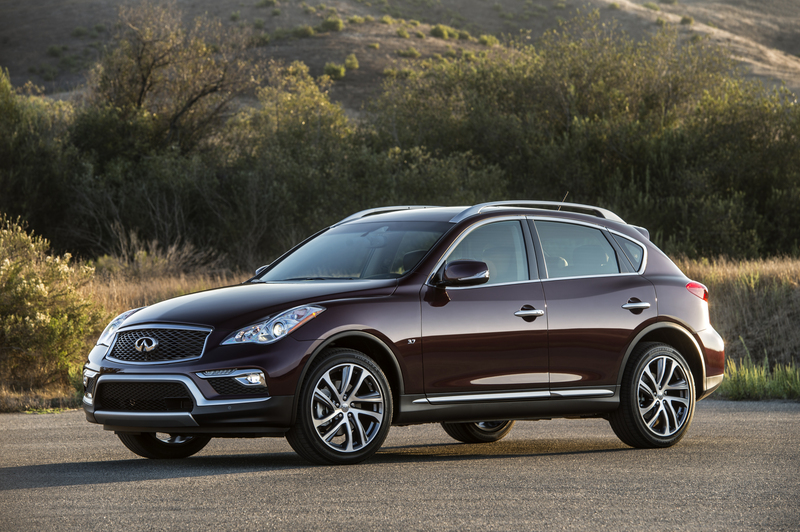 Infiniti said prices would start at under $30,000 for a base model. It will appear in showrooms shortly. Penske Automotive said 13 of its dealerships have been named as among the Best 100 to work for by Automotive News. It is the fifth consecutive year that some of the Penske dealerships have been honored. Gas prices continue to tumble, down 16 cents a gallon from last month’s average of $2.315 and off a rather large 57 cents from last year’s average, according to Gas Buddy. The nationwide average is now $2.15 a gallon, but many places are reporting prices of under $2, down to as low as $1.89 a gallon for unleaded regular. Why this stands out is that the National Weather Service said we are entering into a prolonged period of perhaps record setting heat and humidity that will feel like 100 to 105 degrees. Actual air temperatures will be well into the 90’s. Why this is relevant is that six months ago to the day, those same forecasters were telling us to prepare for a major blizzard. They were right. It dumped more than 30 inches of the white stuff on the road test driveway. 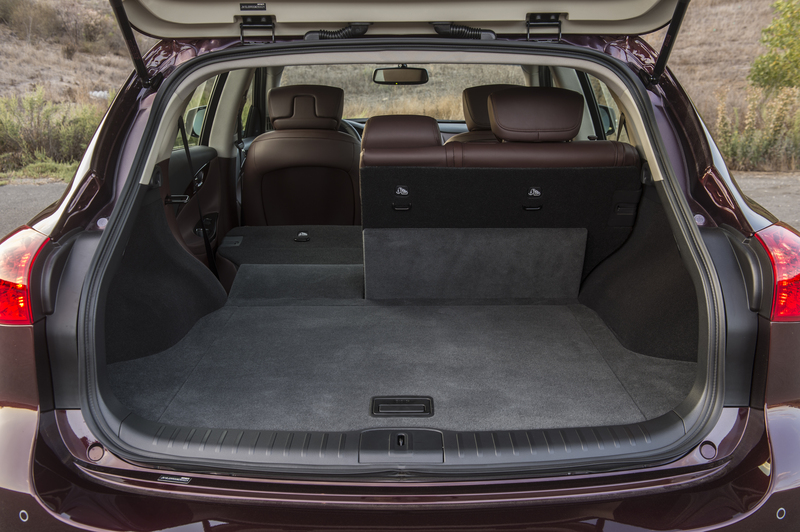 While very few vehicles will take you through just shy of three feet of snow, the QX50 will make that summer vacation trip to the lake, ocean, or your new best friend’s swimming pool a very relaxed experience. Even more so for those riding in the second row. 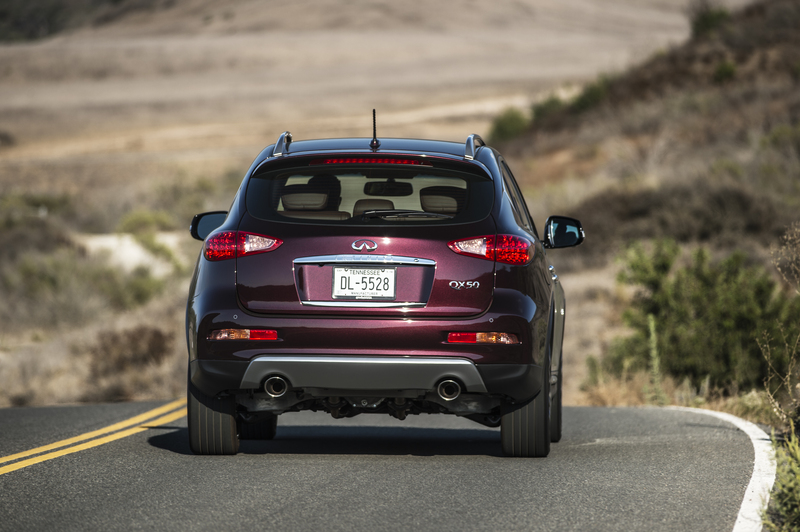 Infiniti extended the wheelbase of the QX by three inches, and that was enough to add a welcome 4 inches to rear seat knee and legroom. Propulsion came from a 3.7-liter V6 with 325hp @ 7,000 rpm and 267 lb-ft of torque @ 5,200 rpm matched to a 7 speed automatic with manual shift mode and Downshift Rev Matching. They worked in harmony not seen at many political conventions. Premium gas is recommended with an EPA estimate of 20 mpg overall, just 17 in the city and 24 on the highway. Interstate merging was a breeze and the six quiets down nicely once cruising speed has been achieved and you should reach a mile-a-minute in less than six seconds. Then it is time to enjoy the long list of features on this crossover. Like an 8-way adjustable powered driver’s seat with 2-way powered lumbar support that was very welcome on longer drives. This feature should be on more vehicles. Sounds you say? Great ones came from the Bose 11-speaker audio system that will still play your CD’s, DVD’s, and has MP3 playback capability. Parking in tight quarters was made easier by the Around View Monitor with front and rear Sonar Systems. Sales to Navy officers should boom. There was a long list of standard equipment, columns of them in fact, along with $8,090 worth of options. That included the expected safety equipment in a Technology Package while a Deluxe Touring Package brought forth, among other items, 19-inch wheels up from 18, automatic leveling headlights, power up-folding second row seats and even a coat hanger back of the driver’s seat head rest. Maple wood accents added a touch of luxury to the interior, but some passengers did not believe that was actual wood. Fit and finish were in line with the QX’s price. XM Navi with traffic and weather information appeared on a smallish 7-inch touch screen. 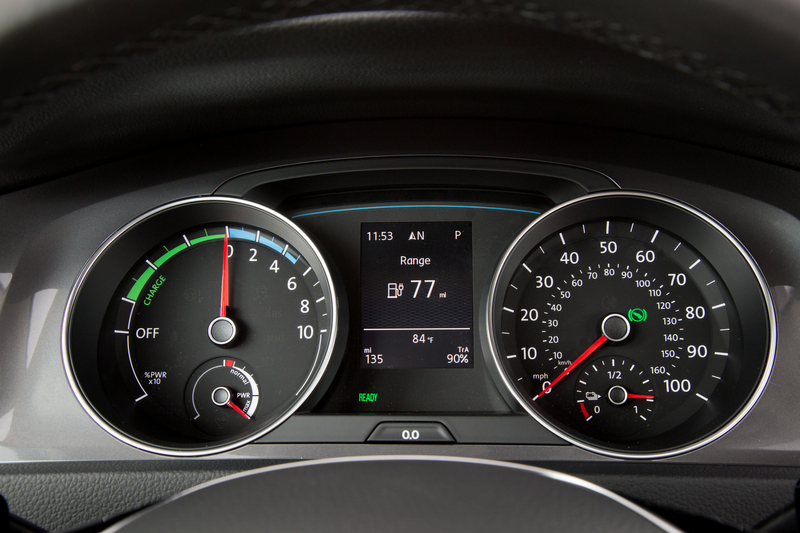 While there was little feedback through the leather wrapped steering wheel, suspension settings come out on the sporty side of the ledger, no small thing in a vehicle with a hefty curb weight of 4,020. Road imperfections were nicely handled and only gully wompers were noticeable inside. Size wise, at 188 inches long, the Infiniti is two inches longer than the new Jaguar F-Pace, and four inches longer than the Porsche Mcan. 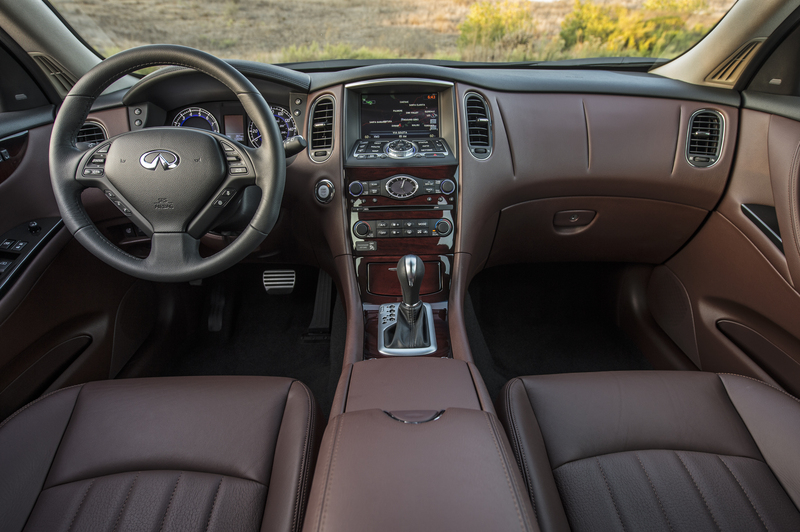 With shipping added on, the QX carried an MSRP of $44,935. I applaud Infiniti for doing such a great job updating what in base form is an older design. Exterior design wise it fits into kind of a funky market where observers will have a hard time categorizing it as either a crossover, a smaller Sport Utility or almost a (here’s that nasty term again) wagon! The point is that in a world where many crossovers and utes look a lot alike, the QX stands out a something different. And in a nice way.